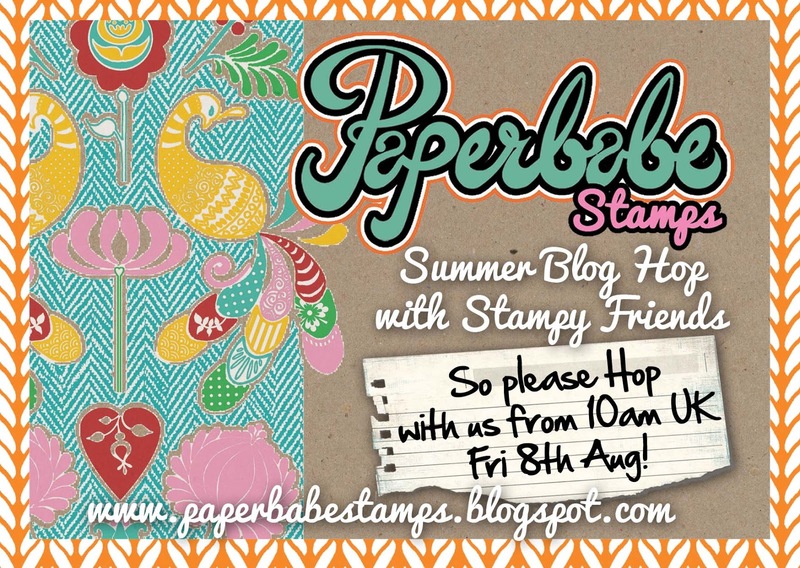 Postcards from the Attic: Paperbabe Stamps Summer Blog Hop! 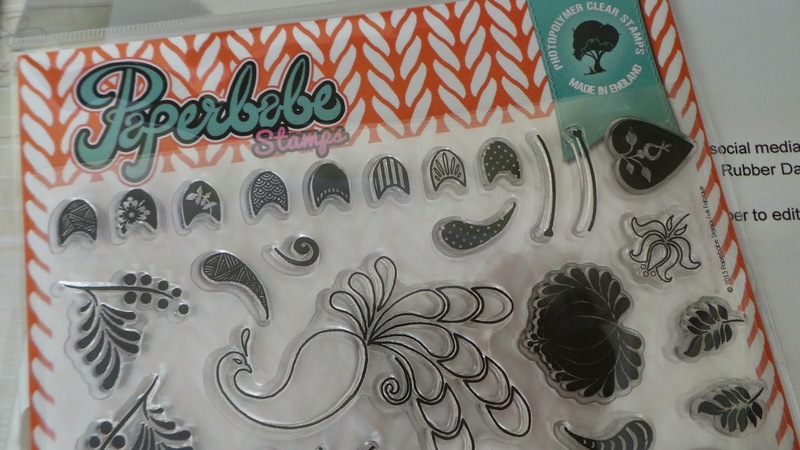 Be sure to stop by PAPERBABE blog if you are JUST beginning the hop and make it all the way to the PAPERBABE STAMPS blog to see the endless possibilities with these new stamps and to leave your comments along the way... as there are some fabby prizes to be had! Prizes indeed! To celebrate there will be the ENTIRE AUGUST release and a very special not yet released (get it well before it's release in September) rubber stamp... up for grabs to a very lucky winner!!! I am very grateful to Kim for asking me to be involved in her hop - her stamps are fab and I know how much love she puts into each and every design. I chose to work with Folk Fabrique which is such an amazing set to use. I am not much into colouring in so this set appealed to me straight away. The layered stamps are perfect for the Copic challenged! We recently moved house and decorated our bedroom in blue and white china colours so I've been looking at a LOT of wallpapers. 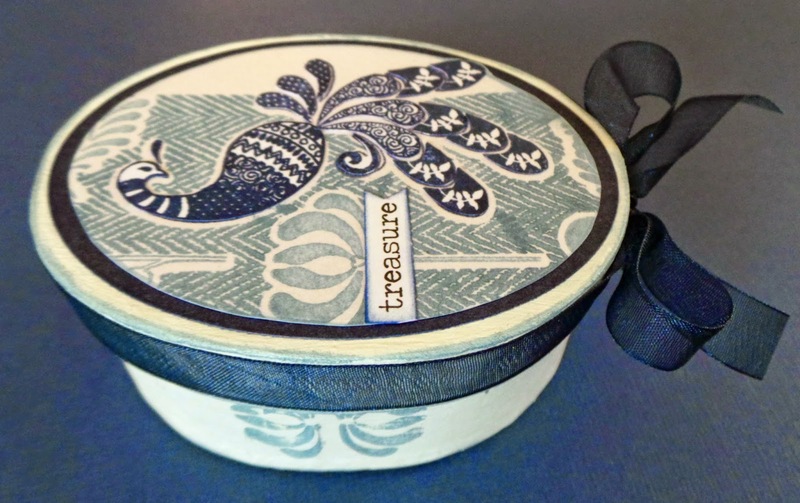 These stamps reminded me of wallpaper and they have a slightly Eastern look to them - so I decided to create a jewellery box for my dressing table for today's hop, reminiscent of old blue and white pottery. 1) Paint a papier mache box (these are very cheap from Hobbycraft) with white paint and stamp around the bottom part with one of the blossom stamps - I used VersaMagic Aegean Blue ink. 2) Die cut an oval of pearl card for the lid and stamp it with part of the background stamp in the same VersaMagic Ink, filling the gaps with stamping in the same colour. Stamp the peacock outline in Archival Cobolt Ink. 3) Stamp the components of the peacock onto white card and with the Cobolt ink and cut out. Layer onto the outline peacock. 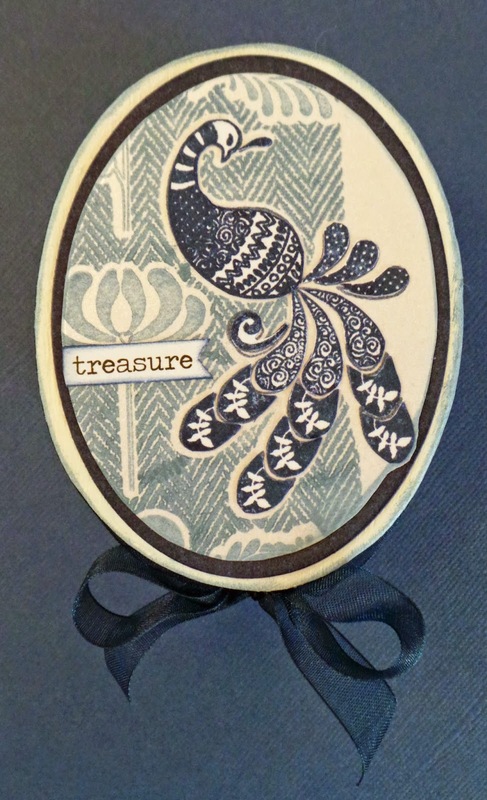 4) Finish with ribbon and a Tim Holtz word sticker. The box would also make a gorgeous gift box so I also created a matching card to go with it. I stamped onto pearl card again with VersaMagic Aegean Blue for the background and Cobolt Archival for the details. To finish I simply matted the image, layered up the peacock bodies to give a bit of dimension and finished it with ribbon bows and few gemstones. That's it from me but there's plenty more to see on the hop! The lovely and super talented Joanne (AKA Angelnorth) is your next stop. THANK you so much for joining us on this Hop, we'll announce the winners on the Paperbabe Blog on the 15th when our Newest Challenge will be starting! You have until the 13th to hop with us and enter to win! HAPPY SUMMER HOP DAY, everyone!!! Those colors are gorgeous Love all these creative ideas! Oooh, don't these look fab in a limited colour pallette - fabulous idea and beautifully exectued! hey Katy, *wave* so good to see you on this hoppity hop! 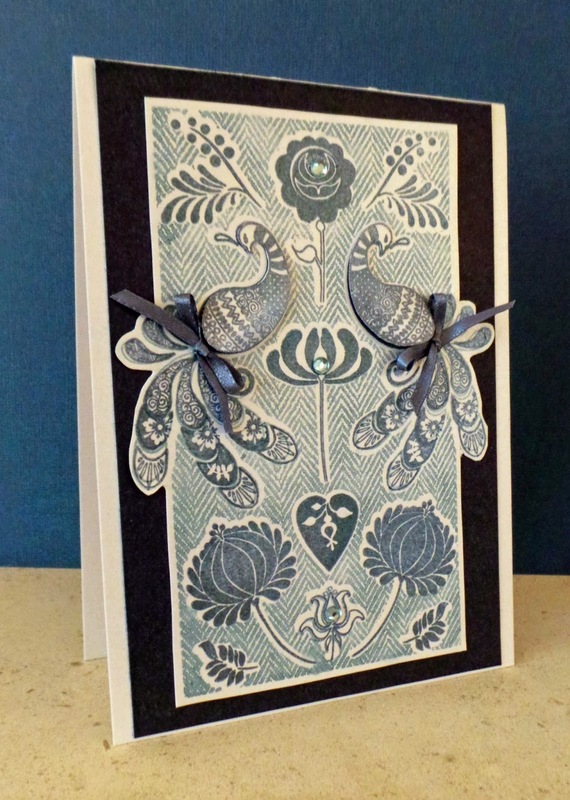 Love what you have done, the blue and white is stunning and I just love the full stamping of the Folk Fabrique background with the bows, gorgeous. Thank you very much Kimberley! These are stunning, I love the designs you have created with those fabulous images and the colours are gorgeous. Such pretty creations. Love those designs.